Dr. Lam is a general dentist. He was born in Saigon, Vietnam. His mother and father were forced to flee when Saigon fell in 1975. With family in tow, the Lams moved to Florida and after a year decided to move to Southern California. 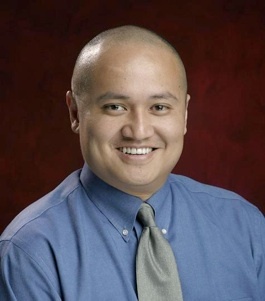 Dr. Lam went to do his undergraduate studies at La Sierra University. He was accepted into Loma Linda University's School of Dentistry in 1996. Dr. Lam is active in the community and is an avid believer of advancing his knowledge through continuous education. He has volunteered time in the mobile dental vans with Northwest Medical Teams as well as participating in Compassion Southeast. He has traveled with his church to Thailand to provide dental services to children involved in the Zoe Children's Home orphanage. These children were purchased from their parents who otherwise would have sold them to child prostitution or slave labor camps. Additionally, Dr. Lam served as the Dental Director for Good Samaritan Medical Dental Ministry and traveled to Vietnam to provide various forms of health services (Medical, Dental, Optometry, and Pharmacy) to rural areas. Dr. Lam each year surpasses the continuing education requirements given out by the Oregon Board of Dentistry. He is a current member of the Academy of General Dentistry.